FoodSafe operates as a online browser or mobile app based system where a food service or production venue can monitor and streamline their Food Safety management systems. 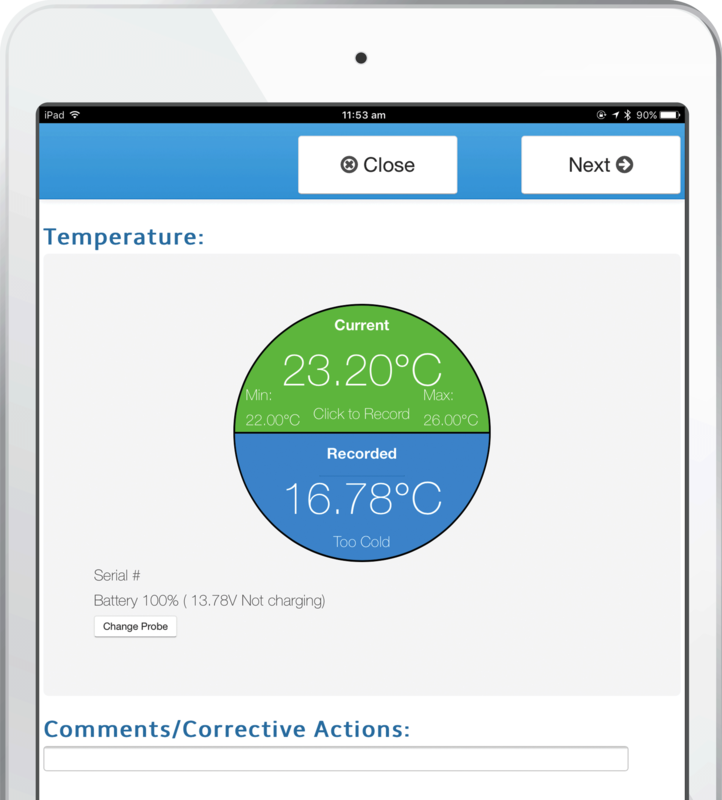 FoodSafe on-the-field uses a Mobile tablet or smartphone device and a bluetooth LE probe to record venue specific temperature checks by using the probe to transmit the data into the system against the relevant check a staff member is performing. Discover FoodSafe in 46 Seconds from Virtual Mgr on Vimeo. The data recorded from the checks is stored against the relevant tasks completed in the system with the timestamp, geo-location and user sign off recorded. In the Actions dashboard, Supervisors can review activity for the day in sections of Temperature checks and cleaning tasks. If the temperature recorded is compliant and is within temperature storage guidelines, the check will be recorded in green. If the temperature recorded has not matched the HACCP regulations of temperature storage guidelines, the record will turn red for the relevant check. If there has been a temperature check that has not been compliant, the system will then create a workflow for the temperature to be re-checked within a permitted time frame in line with the client’s food safety management system. These workflows are customised for each client’s needs as there can be different courses of action required.